PSAT for 9-24-13: Buy this book! 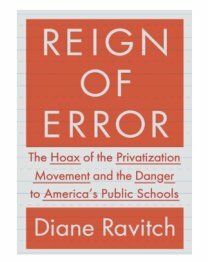 Diane Ravich’s new book, Reign of Error, just came out and everyone’s talking about it! Diane has been all over the airwaves and in print. 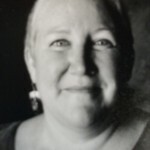 Parents Across America President Dora Taylor and PAA co-founder Leonie Haimson have written excellent reviews. We need to engage and woo potential allies, to show them how corporate greed and delusional deference to the free market is destroying public education, just as it crashed the economy –and that there is a better way to support, strengthen and improve our public schools. We must win this battle for the soul of our education system before it’s too late. I can think of no better way to achieve this necessary goal than making sure that as many people as possible read this book. Posted in Uncategorized | Comments Off on PSAT for 9-24-13: Buy this book!